Looking for a unique location for your wedding, shower or rehearsal dinner? 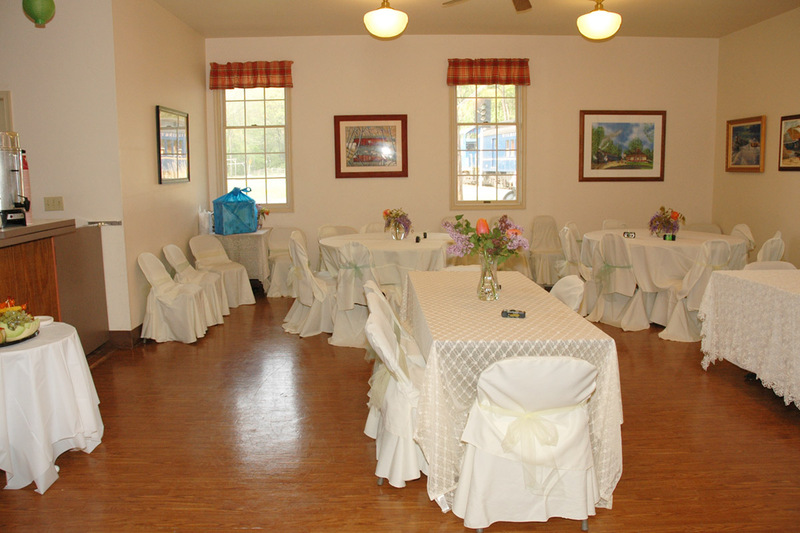 The Wilmington & Western will provide a truly memorable setting for your event. 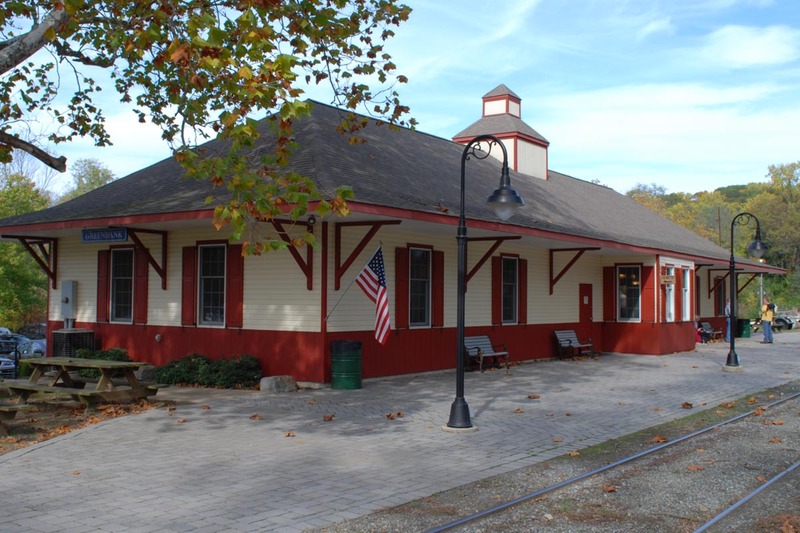 Our century-old trains, spacious station and bucolic picnic grove can be used in a variety of ways to suit the needs of your event. A steam- or diesel-powered train consisting of our historic passenger coaches can be used to transport your guests to the Mt. 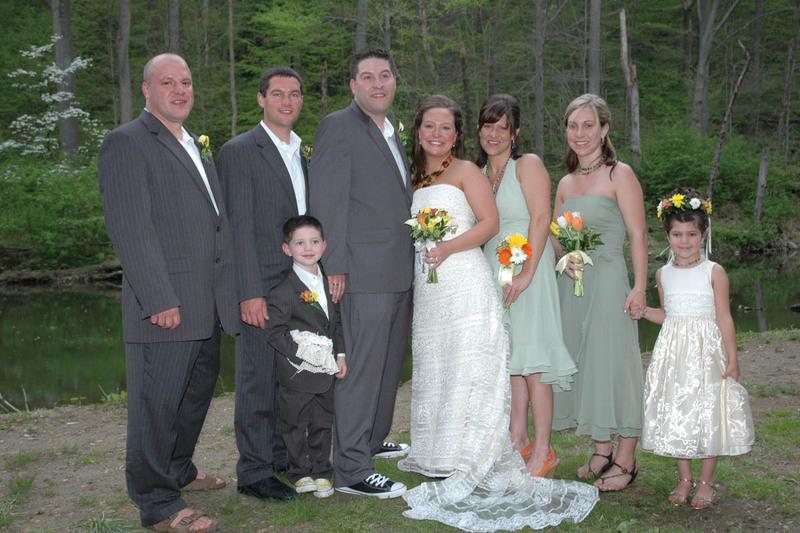 Cuba Picnic Grove for a creekside wedding ceremony. 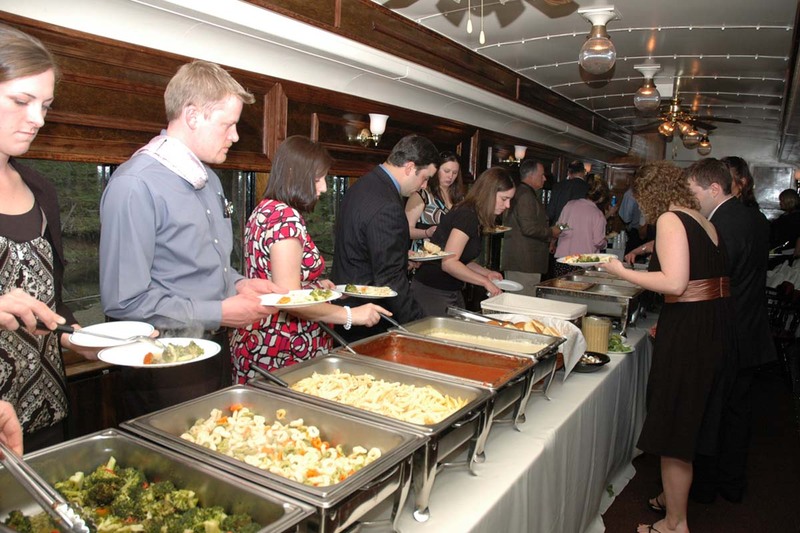 Our coaches can also be converted to dining cars, allowing your guests to enjoy dinner aboard the train as it travels through the scenic Red Clay Valley. Please see our Equipment section for more information and pictures of our historic equipment. Our 3,000 square foot Greenbank Station can be used for a sit-down dinner, or for desserts and dancing after having dinner aboard the train. 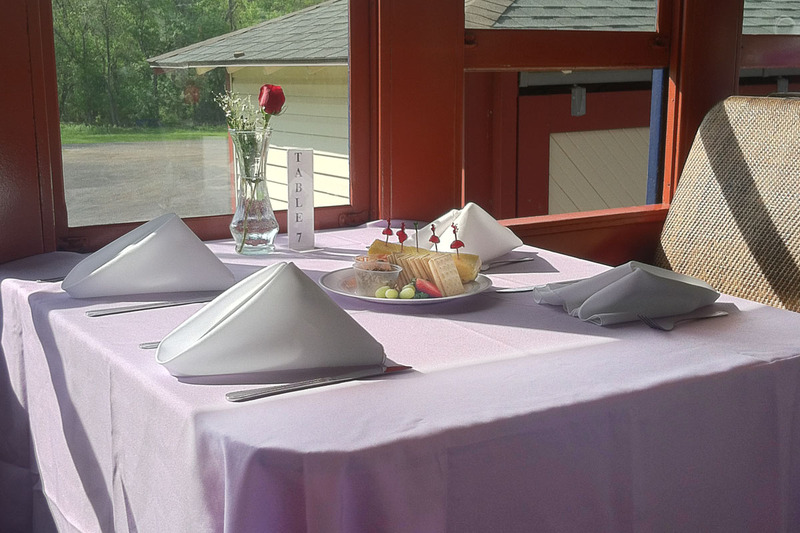 You could also set up tables on the boarding platform for an outdoor reception, and have our passenger train standing by to take guests on a leisurely trip through the valley. Please see our Station Rentals page for more information about Greenbank Station. The Mt. Cuba Picnic Grove is nestled on the banks of the Red Clay Creek four miles from Greenbank Station. 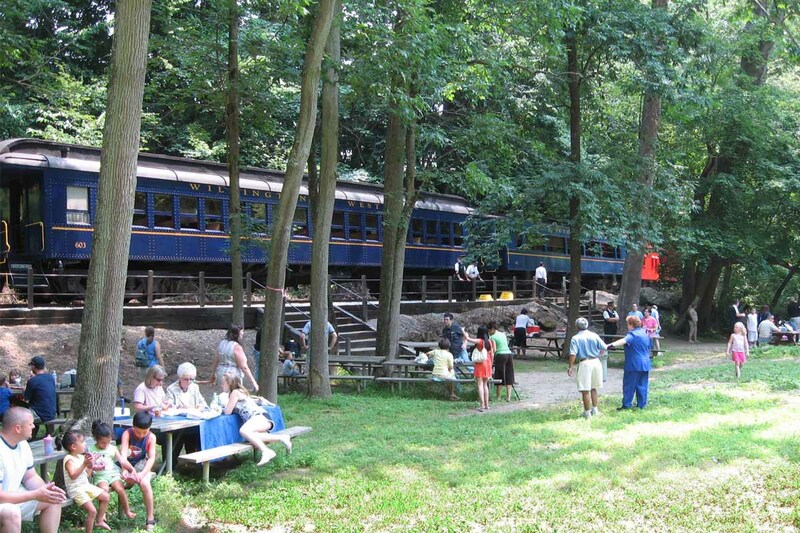 Our passenger train will bring you and your guests to the grove for an idyllic outdoor ceremony, and then return everyone to Greenbank Station for dinner, or you could continue further up the tracks while you enjoy dinner aboard the train.